Kevin Harvick, driver of the No. 4 Jimmy John’s Ford Fusion for Stewart-Haas Racing (SHR), is heading to the Monster Energy NASCAR Cup Series Las Vegas 400 at Las Vegas Motor Speedway in search of his 100th career win in NASCAR’s top three series and his 100th top-10 result since joining Stewart-Haas Racing in the Cup Series. Harvick scored career win No. 98 Saturday in the NASCAR Xfinity Series at Atlanta, and No. 99 Sunday in the NASCAR Cup Series event. As the 2014 Cup Series champion heads to Las Vegas looking for win No. 100, he also will be looking for the 100th top-10 result since joining forces with crew chief Rodney Childers at SHR. The Bakersfield, California, native has collected 75 points through the first two Cup Series events of 2018, which ranks fourth in the series but, more importantly, last weekend’s Cup Series win at Atlanta secures the No. 4 Jimmy John’s team’s position in the NASCAR playoffs. The team has collected a series-best six playoff points through the first two events of the season – five points for the win and one for winning Sunday’s first stage. Harvick has also led a series-best 181 of 532 total laps through the first two Cup Series events of the year. Ryan Blaney is second with 118. Thus, there is reason to believe Harvick’s strong start will continue at the 1.5-mile track in Las Vegas this weekend. He dominated the Las Vegas 400 in 2015 to score his first win in only the third race of the season and his first at Las Vegas. His No. 4 car led five times for a race-high 142 laps en route to his 29th career Cup Series win. The 42-year-old driver also has two wins in Xfinity Series competition at Las Vegas. His first came in March 2004, when he started 11th, led 14 laps and raced his way to victory by .119 of a second over runner-up Kasey Kahne. Harvick’s second Xfinity win at Las Vegas came in February 2010. Driving his own No. 33 car for Kevin Harvick Inc., he started second, led 82 laps and beat runner-up Denny Hamlin to the finish line by 1.361 seconds. It was the sixth win for Harvick’s team in the Xfinity Series. He is still searching for his first Cup Series pole at Las Vegas, but he did win the pole for the Xfinity race in 2007, when he turned a lap at 181.111 mph. 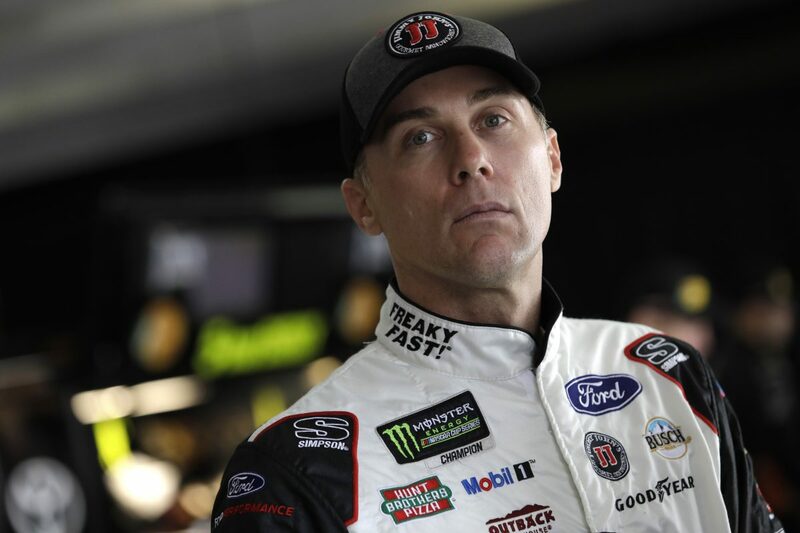 Harvick’s goal this weekend at the 1.5-mile Las Vegas Motor Speedway is to score his second win of the 2018 Cup Series season, the 100th win of his career in NASCAR’s top three series, and his 100th top-10 Cup Series result since joining SHR. What’s it like to sit here with 99 wins in NASCAR’s top three series and to be chasing win No. 100? What was it like to have all four Stewart-Haas Racing cars perform well at Atlanta? Compare Atlanta to Las Vegas.